In our 22 years, Consortiumnews has sought to apply the highest journalistic standards and to do so evenhandedly, demanding proof, not just assertions or opinions, from powerful people. I know that has sometimes made us unpopular. Our skepticism about George W. Bush’s case for invading Iraq opened us to charges that we were “Saddam apologists.” But our skepticism proved to be well-founded. Similarly, we have looked for real evidence regarding the Russian “meddling” accusations and tried to put whatever facts that are available in a reasonable perspective, not simply jump on the new bandwagon and roll blindly into a new cold war. We have tried to be as objective and fair in our journalism as possible, setting aside our personal feelings about the personalities involved as we evaluate evidence with care. 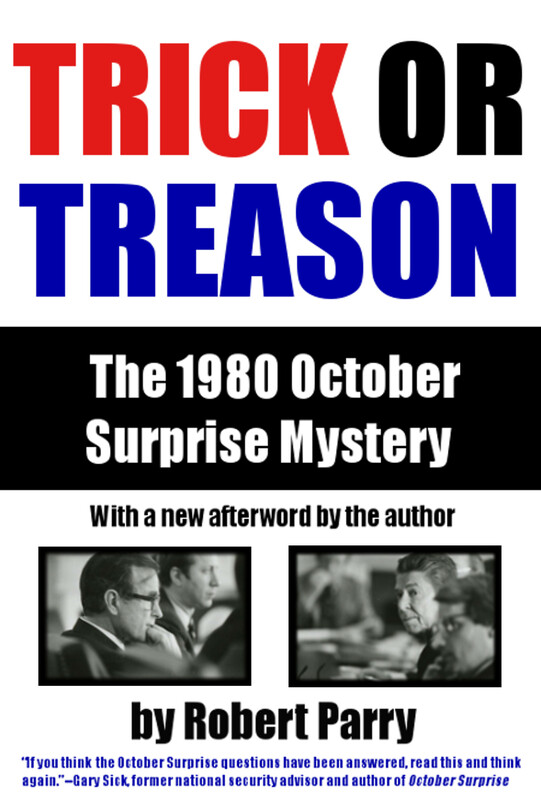 Some of this questioning approach toward “what everybody just knows to be true” comes from my work at The Associated Press and Newsweek during the 1980s when many of claims that the Reagan administration made about foreign enemies turned out to be flat wrong or wildly exaggerated. Back then, as now, many of my mainstream colleagues went with the flow, all the better for their careers but detrimental to the principles of journalism – and devastating for some populations on the receiving end of U.S. propaganda and war. We now face another important test for what journalism and democracy will become. I for one think that the strongest safeguard for democracy is an informed electorate, which means that journalism should provide all sides of a story, not just the “approved” one. That means that when we see “fake news” or other false information, we denounce it. But I would much prefer continuing our traditional though imperfect method of weeding out lies one by one – and explaining to the public why these lies should be disbelieved – than allowing some benighted group of mainstream entities to impose in secret their self-interested version of the “truth” and then enforcing it through algorithms. And, there is no better way for us to resist that dreary future than to continue producing serious, well-reported journalism that takes on misguided groupthinks – and stands up to today’s pressures on the firm ground of journalistic principle. But that can only happen with your continued support. So please contribute what you can to our end-of-year fund drive so we can continue to work with our talented group of writers and publish an independent news product that sets the standard for what modern journalism can and should be. Power without truth is the path to War. 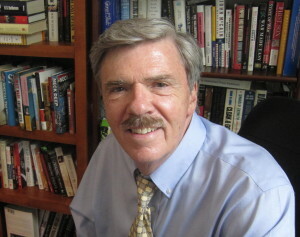 Thank you Robert Parry for all you and your excellent team do to expose the truth. I wanted to recommend Consortium News also getting on the Steemit platform as I think you would do very well posting your well researched and presented articles there, and you would also receive cryptocurrency from people who found your content valuable. A lot of alt media, both left and right, is now moving onto Steemit and the platform is growing fast. It could be quite helpful to grow your audience and attain more revenue for your excellent work. Thank you, Robert. Never miss a day. First thing I look at when I search the internet. It is not only the articles but the comments and links that follow. Sometimes I wish some of the most astute commenters tone down their finger pointing. Although they are often, actually mostly correct, the strident tone doesn’t help the quality of the site and makes it vulnerable to cherry picking criticism. thermite is in all world trade center dust. tiresome, i know, but 9/11 honesty = peace. don’t you find it kind of ironic that this website is asking for money using the example of censorship as it’s focus while simultaneously censoring mine and who knows who else’s comments? this kind of behavior is very disheartening in wondering what the future holds for journalism in general. Not being an editor, I cannot say what has triggered a case when comments from you have not been published. Do read the “comment policy” for guidance, link on this page. Occasionally, my comment has landed for “moderation” and been published with a delay. There is always a reason. I welcome sorting out inappropriate and hateful comments, there are plenty of them on other sites and they make reading rather tiresome and unpleasant. make no mistake. Censorship is at work here. I now consider CN the “controlled opposition” or a limited hangout, and have moved on. I doubt this will survive the Censor. Thank you Mr. Parry, so very true. Since the inception of the Internet, the truth has never been under so severe threat. The rise of the Internet, since the Arab spring in 2011, as a source of “people reporting”, of verifiable news stories, tweeted or youtubed to millions, Governments have sought to control this flow. And it has happened to a large extent. The recent death of NN in the US is the latest example of the impending censorship. At the same time the rise of unreliable, fake, conspiracy and drivel driven “news” sites on the internet is stunning, far exceeding cold war propaganda tactics. It is very, very difficult today to discern news from propaganda or “fake” news, and it is very , very time consuming to hunt for verification. The fact that many of the coalition’s members have deep-seated biases as well as a checkered record of getting facts straight is ignored in this rush to somehow “protect” American and Western audiences from “deviant/divisive” …points of view. of Half-Breeds,W/ Light Brown skin and White Characteristics ? You have my support. The contribution I was previously making to the Intercept will now be going to this site instead. The lack of war propaganda is quite refreshing. Keep up the amazing work, Mr. Parry. I love CN. There a millions of informed people but the problem is they have no power because lawless powers will not budge to reprimands. Reminds me of the kid caught with hand in cookie jar. He keeps plundering because he knows he can with a lying protecting army surrounding him. consortnew @ aol.com is a copy and paste….how about not having spaces to make copy and paste easier for us impaired users. Thanks for the reporting. I’m not against some smart advertising on the page sides. Thank you Mr. Parry for your dedication to keeping the public accurately informed on the actions of our government. Peace. Things can only get worse, what with Trump resurrecting the medieval church’s Index of Forbidden Terms, starting with “Climate Change” and continuing with “fetus,” “transgender,” and several others, as a recent story in WashPost reported. He’s actually smart enough to know that if you change the language, you change the reality. Mister Speaker , my question is, what is “groupthink, or group thinking? He initially defined groupthink as follows: I use the term groupthink as a quick and easy way to refer to the mode of thinking that persons engage in when concurrence-seeking becomes so dominant in a cohesive ingroup that it tends to override realistic appraisal of alternative courses of action. This Trump tax bill will be as an arrow to the liver of folk who survive by hard labor. Journalism exploited and used to circumvent the traditions and functions of democracy. Maybe? Recently, journalism has involved stories and facts that lack foundation (fake made_up facts and invented news stories).. While I take no issue with the “strongest safeguard for democracy is an informed electorate, which means that journalism should provide all sides of a story, not just the “approved” one.”; I find a need to reconcile the underlying assumption that there exist an electorate willing to listen and to follow professional journalism presented in traditional ways. Why? Because, I believe the important part; the electorate, lacks the capacity to benefit from traditional high quality journalism ( they cannot read a book, they cannot read a research paper, they cannot read the newspaper, they cannot make change at the retail cash register, they cannot be induced to think, they can sometimes be lead.. from place to place and from experience to experience and from cell phone button to cell phone button; burn their hand on the stove while saying hot sometimes gets the message across). While I agree there is “ no better way than to continue producing serious, well-reported journalism that takes on misguided group thinks – and stands up to today’s pressures on the firm ground of journalistic principle.” I disagree that serious journalism in traditional formats can reach, teach and inform the important lowest common denominator (those who pull the levers that determine our political fate. Journalism is about defending democracy, and as a defender of democracy journalism must include, reach and influence lever pullers). Journalism rendered to the aconscious mind is but trash-can-fodder. Conscious audiences will support journalism; but if the message fails to attract the lowest levels to its channel; its purpose is lost; no matter its perfection, quality or potential. The unmet challenge is media, media type, media access, and audience capacity, not journalism. Journalism is content, and if it is good, presented well, in the right places, in the right format, at opportune times, it can reach the unconscious minds of the powerful, uninformed members of the unconscious public. Believe me, few are going to go looking for quality journalism in traditional print formats. Before digital, Audience Capacity was a function of schooling. Everyone was taught to read, write and to reference right from wrong in accord with certain fixed icons. Today, few are taught to write, fewer are taught the old fixed icons (only movie or football stars need now apply). So expression must find new forums to reach the experience, interest, and capacity of its intended audience. The participating members of your audience seem uniquely qualified [they can read and write] and may be able to help alternative media find its audience. Thank you so very much for this forum and your effort; they are highly appreciated and much needed. in poverty but I’ll bookmark this for next month as a reminder. Thanks for this site. 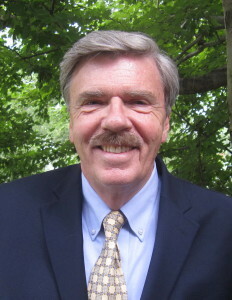 Gratitude, respect, and well-wishes to Robert Parry. An informed electorate is absolutely necessary for a government of, by, and for the people. And Mr. Parry’s point about consequences that detriments to “the principles of journalism” can have – consequences “devastating for some populations on the receiving end of U.S. propaganda and war” is especially noteworthy. Thank you Robert Parry for Consortium News. I recommend this site to everyone. Your work and the work of your contributing journalists is invaluable in the struggle to counter the official narrative that is always designed to camouflage the true motives of powerful interests. Also, thanks for providing a platform for VIPS whose work has been heroic in shining a light into the dark corners of imperial mischief. I don’t know where we would be without you. I will make a donation before the year’s end. I posted this comment earlier; for some reason, it did not show up. If the earlier post and this post both appear in this thread (duplicate posts), I apologize in advance. An exceptionally well-written and concise article of what is wrong with the epidemic of the biased, profit-driven, and sensationalist nature of what nowadays passes as “journalism.” It is obvious that the bar for journalistic standards has been set so low, especially since mainstream media corporations have grown complacent in their attempts to deceive the public – the cracks are becoming increasingly evident to even the most oblivious of people (well, some at least). 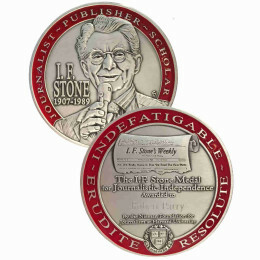 To achieve true excellence in any field, one must take pride in their work, and base their pride on adherence to the principles of honesty, integrity, diligence, meticulousness, and service in the public interest – the work must always be done in good faith and with the best of intentions. Unfortunately, the current state of journalism has progressed in lockstep with the zeitgeist – the corollaries are impossible to ignore. The issues aren’t even so much that mainstream media journalism often gets it wrong (even the best among us will make mistakes at some point) – the issues pertain to perfidy, avarice, willful ignorance, willful malfeasance, intellectual dishonesty, and capitulation to the currently established order of those in power. Perhaps, worst of all – when operatives of the mainstream media become (fully) aware of the baselessness and lack of veracity of what is being reported, these issues are either willfully ignored, or they double-down on the lies and deception (as is the case with Russia-gate). To add insult to injury, other voices and perspectives that do not conform to the dogma of the mainstream media echo chamber – regardless of their reliability and credibility – are actively being drowned out, silenced, and/or censored. Mr. Parry hits the nail right on the head when he said that “the strongest safeguard for democracy is an informed electorate, which means that journalism should provide all sides of a story, not just the ‘approved’ one.” An informed and steadfast electorate is the enemy of any totalitarian or proto-totalitarian state. It bears mentioning that the Congress of Cultural Freedom (CCF) was established c.1950, with assistance from the CIA, mainly for the purpose of dumbing down the masses, and depriving them of the capacity for true human creativity, rationality, and critical thinking over time. As the masses become demoralized and robbed of their dignity, they will just as soon abandon moral and ethical principles – the result of coping with these changes, as well as liberalism and cultural bastardization. As sandboxed demographics are manipulated into societal and civil conflict and unrest with other demographics, the vultures ensure that they take advantage and capitalize on these conflicts. The mainstream media is an absolutely essential component to making this happen – just ask Nazi Minister of Propaganda Joseph Goebbels, who would blush at how far the idea of “a lie told a thousand times becomes the truth” has been taken. 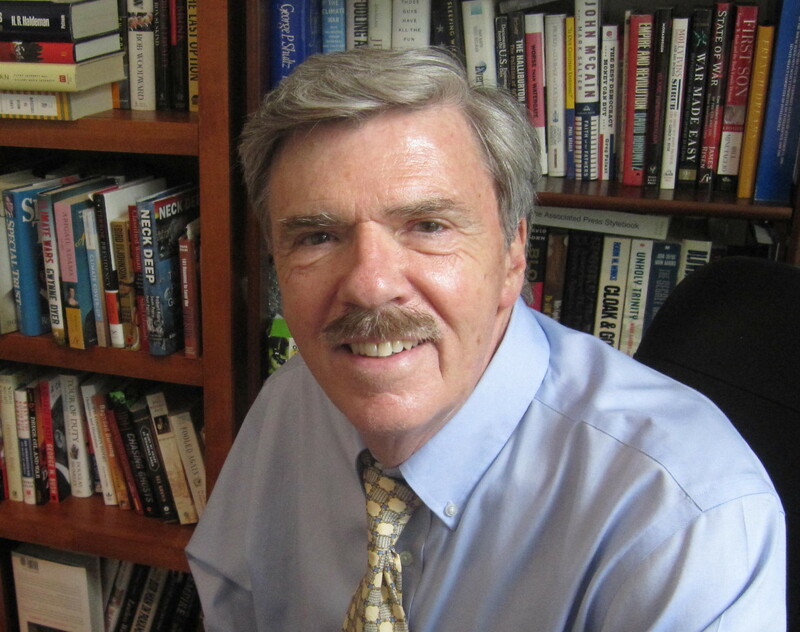 In closing, I sincerely appreciate all the efforts and sacrifices of honest and principled journalists like Robert Parry, who devote their lives to informing the public of the truth and doing so in good faith… even at the expense of their own self-interests and well-being. They are an absolutely invaluable resource for all of us – as such, we must not take their many good works far granted, and we must not fall into a pattern of complacency in thinking that our “inalienable rights” are safe and protected, because these are very much in danger… whether we’ve personally experienced this or not. Through empathy, and in accordance with the universalist golden rule (“do unto others as you yourself would want others to do unto you”), we must understand and realize that a threat to justice anywhere is, indeed, a threat to justice everywhere. This, enough, is reason to (continue to) fight for the rights of others, as we would fight for the rights of our own. If we fail to defend the rights of others, our own rights shall soon be violated as well – this is the way of an expansionist and imperialist establishment world order. With that said, for all the above aforementioned reasons, I will make a donation to Consortiumnews when I get the opportunity to do so. Is the Paypal I.D. really “consortnew @aol.com? Seems like maybe a typo here, should be instead “consortnews@aol.com? I can say for certain that Hillary et al. would sure like to see you in a re-education camp, Robert. the organization that did the shootings. (wonder if it was the same people that arranged the shootings in Las Vegas.. )? This is by far my favorite website for real journalism. Thanks for all your hard work, Mr. Parry. Peace on Earth. Good will toward men. Merry Christmas. Thank you Robert Parry, I donate each time you ask because CN is the most truthful reporting I can find. I include your site in my daily reading cycle and consider it invaluable.